Horizon Homes, the developer of Horizon Villas and Horizon Residences among other notable projects, has unmatched knowledge of Koh Samui. 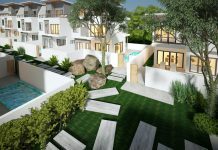 They have chosen the prime location of Choeng Mon on the beautiful northern coast of the island for these two developments. The destination is simply stunning and the projects are equally as impressive. Winning Best Developer Koh Samui isn’t only about creating the best residential projects, it’s about capturing the island feel and relaxing vibe that has made Samui a world renowned tourist destination. That is what Horizon Homes has done at both Horizon Villas and Horizon Residences. Of the many luxurious developments on Thailand’s Koh Samui, these two are by far the most highly sought after. Not only are they an excellent investment opportunity, but homebuyers can also enjoy staying here. It’s possible to rent it out to holiday stayers when you’re not around and then use it during other times of the year. Horizon Villas and Horizon Residences have been built to incomparable standards utilising international construction expertise. 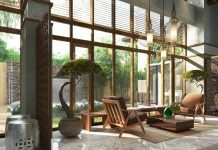 Every home has been developed to the highest of standards and finished with high-end materials such as marble, granite, teak wood and natural stone. Each residence embodies the tropical paradise that is Samui through smart designs that offer open, airy living spaces. Whether it is the private pools and sea views at Horizon Villas or the private townhomes at Horizon Residences, owners and guests will feel as if they are getting the best. Speaking of the best, the amazing location is just as appealing as the properties themselves. Choeng Mon is one of Thailand’s hidden gems and is a short walk away from both projects. There are also numerous eateries, cafes and bars in the area for added convenience. Samui Airport is roughly a ten-minute drive away from both developments allowing guests who arrive to the island to get to their residence quickly. This is more important than you might realise. After all, once a person arrives in paradise, they don’t want to waste time driving to their accommodation. Most foreigners who purchase a property in Samui have previously enjoyed holidays on the island. They fall in love with Samui’s many charms, the inexpensive cost of living and the relaxed way of life. When they find out how affordable property is in Samui, scooping up real estate is an easy decision to make. Many people buy a property on the island as a holiday home, but it can actually be a savvy investment. With tourist arrivals to Samui increasing each year, they now surpass the one million mark, a home on the island can be let out when not being used by the owner. Koh Samui’s global appeal ensures that there is always a steady flow of arrivals regardless of world events. The local economy isn’t affected by external happenings meaning the island has a stability not found in many other places. British, French, German and Australian tourists have always visited Samui in large numbers, but Russians, Chinese, South Korean and Indian visitors have now joined them. Unlike other beach destinations in Thailand, such as Phuket, Pattaya and Hua Hin, Samui is not overcrowded. The good news is that the island has a huge potential for future growth without infringing upon this. Even as other tourist destinations have fluctuated in popularity, Samui has remained beloved by visitors, both domestically and from abroad. 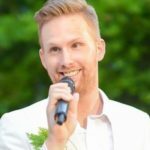 The general consensus among real estate agents and real estate developers in Samui is that a return on investment of 15 percent is realistically achievable for holiday rentals on the island. There are very few places in Thailand, let alone Southeast Asia, where this is possible making the market in Samui very attractive. 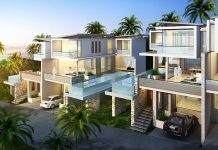 No one has more local knowledge than Horizon Homes and this can be seen in the work at Horizon Villas, Horizon Residences and all of their projects in Samui. 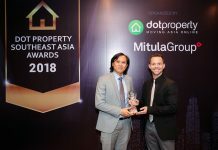 The firm was named Best Developer Koh Samui at The Dot Property Thailand Awards 2017 for its fantastic developments along with its commitment to help clients with any problem no matter how large or small.